Here you will find some inspiring life stories of people that we hope will be of interest to you. Please contact us if you have suggestions on other outstanding people that could be added to those already described below. Blessed John Henry Newman was born in London, 21 February 1801, and died Birmingham, 11 August 1890. As Vicar of St. Mary’s Oxford he exerted a profound spiritual influence on the Church of England. Joining the Catholic Church in 1845 he founded Oratories of St. Philip Neri in Birmingham and London, was the first rector of the Catholic University in Dublin, and was made Cardinal by Pope Leo XIII in 1879. Through his published writings and private correspondence he created a greater understanding of the Catholic Church and its teachings, helping many persons with their religious difficulties. At his death he was praised for his unworldliness, humility, and prayerful contact with the invisible world. He was declared Venerable on 22 January 1991. 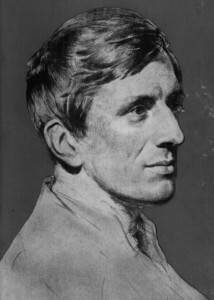 John Henry Newman was beatified by Pope Benedict XV1 on the 19th of September 2010, in Birmingham on the last day of his state visit to Britain. 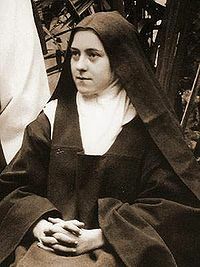 Thérèse of Lisieux (2 January 1873 – 30 September 1897), or Saint Thérèse of the Child Jesus and the Holy Face, born Marie-Françoise-Thérèse Martin, was a French Carmelite nun. She is also known as “The Little Flower of Jesus”. She felt an early call to religious life, and, overcoming various obstacles, in 1888 at the early age of 15, became a nun and joined two of her older sisters in the enclosed Carmelite community of Lisieux, Normandy. After nine years as a Carmelite religious, having fulfilled various offices, such as sacristan and novice mistress, and having spent the last eighteen months in Carmel in a night of faith, she died of tuberculosis at the age of 24. Her autobiography called ‘Story of a Soul’ has become a classic of Christian spirituality. Her feast day is 1st October. Born in Okopy near Suchowola, Jerzy Popiełuszko was a charismatic priest who was first sent to strikers in the Warsaw Steelworks. Thereafter he was associated with workers and trade unionists from the Solidarity movement who opposed the Communist regime in Poland. He was a staunch anti-communist, and in his sermons, he criticised the Communist system and motivated people to protest. During the period of martial law, the Catholic Church was the only force that could voice protest comparatively openly, with the regular celebration of Mass presenting opportunities for public gatherings in churches. Popiełuszko’s sermons were routinely broadcast by Radio Free Europe, and thus became famous throughout Poland for their uncompromising stance against the regime. The Security Police tried to silence or intimidate him. When those techniques did not work, they fabricated evidence against him; he was arrested in 1983, but soon released on intervention of the clergy and pardoned by an amnesty. A car accident was set up to kill Jerzy Popiełuszko on October 13th, 1984, but he escaped it. The alternative plan was to kidnap him, and it was carried out on October 19th, 1984. The priest was beaten and murdered by three Security Police officers. Then, his body was dumped into the Vistula Water Reservoir, from where it was recovered on October 30th, 1984. News of the political murder caused uproar throughout Poland, and the murderers and one of their superiors were convicted of the crime. More than 250,000 people attended his funeral, including Lech Wałęsa on November 3rd, 1984. Despite the murder and its repercussions, the Communist regime remained in power until 1989. 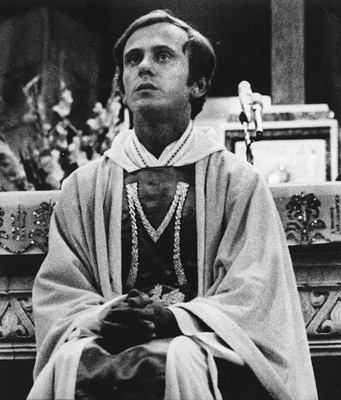 On December 19, 2009, it was announced that Pope Benedict XVI had approved the decree of beatification of Father Popiełuszko. He was beatified on June 6, 2010 in Warsaw’s Pilsudski Square. His mother, Marianna Popiełuszko, who had turned 100-years-old few days earlier, was present at the event. His feast-day is October 19th. Popiełuszko became a recipient of the Order of the White Eagle (posthumous, 2009). Click on this link to see video and more information. From his hermitage at Gougane Barra in West Cork, he travelled down the river Lee to found his school and monastery among the ‘marshes’ of what is now Cork City. In his lifetime he was honoured as a teacher and described as “this loving man, Barre of Cork”. He was the son of an artisan and a lady of the Irish royal court. Born in Connaught, Ireland in the 6th Century, and baptized Lochan, he was educated at Kilmacahil, Kilkenny, where the monks named him Fionnbharr (white head) because of his light hair; he is also known as Bairre and Barr. 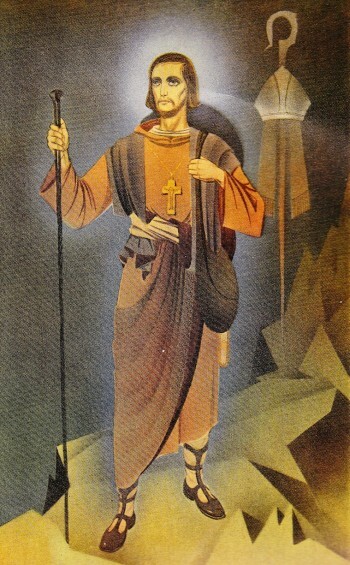 He went on pilgrimage to Rome with some of the monks, visiting St. David in Wales on the way back. Supposedly, on another visit to Rome the Pope wanted to consecrate him a bishop but was deterred by a vision, notifying the pope that God had reserved that honour to Himself, and Finbar was consecrated from heaven and then returned to Ireland. At any rate, he may have preached in Scotland, and definitely did in southern Ireland, where he lived as a hermit on a small island at Lough Eiroe, and then, on the river Lee, founded a monastery that developed into the city of Cork, of which he was the first bishop. 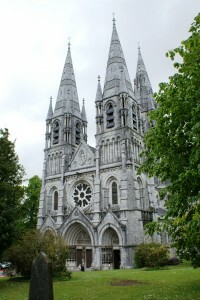 His monastery became famous in southern Ireland and attracted numerous disciples. Many extraordinary miracles are attributed to him, and supposedly, the sun did not set for two weeks after he died at Cloyne about the year 633. Thaddeus McCarthy was appointed Bishop of Ross and later appointed Bishop of Cork and Cloyne but never ministered as bishop in either See. He died in Ivrea, Italy, on October 25th, 1492, where he is still venerated. He was beatified in Rome in 1896. Following his beatification, the people of Ivrea sent a relic of his remains to the Cathedral in Cork. The reliquary was remounted on a piece of carved Cork limestone by Ken Thompson as part of the 1996 refurbishment of the Cathedral of St. Mary and St. Anne, Cork. 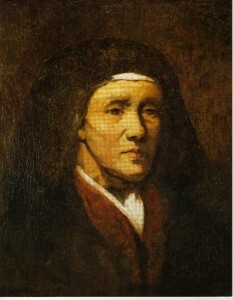 Nano Nagle, pioneer of Catholic education in Ireland, was born at Ballygriffin, Co Cork in 1718. Because of the Penal Laws, she was educated first at the local hedge school, and later in France. Upon completing her education, Nano resided in Paris and enjoyed a leisurely social life with her sister, Ann, among a privileged set of Irish émigrés. Upon her return to Ireland, Nano was appalled by the oppression and ignorance of poor Catholics. She decided to enter the religious life in France to pray for her people. But God had other plans for her. Nano came back to Cork and started what was to be her life’s work. In 1752, she risked imprisonment and death by opening her first school in a mud cabin in Cove Lane in Cork City. Within 20 years she had seven such schools in Cork City. In 1771, she introduced the Ursuline Sisters into Cork, thinking that this would ensure the continuation of her apostolate. But the rule of enclosure observed by the Ursuline Order made this impossible. On Christmas Eve in 1775, Nano founded what was to become the Congregation of the Sisters of the Presentation by inviting three other women to join her apostolate to the poor. Her decision was timely for Nano Nagle died on April 26, 1784. In 1913, he joined the Society of St. Vincent de Paul and was greatly influenced by the spirit of the Society. As a member, he gradually came to have a great love for the poor and underprivileged in whom as in everybody he met, he recognized and honored Christ. 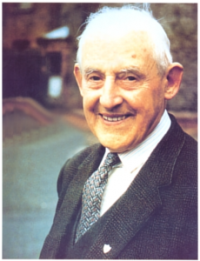 In 1916, aged 27, he published his first pamphlet “Can we be Saints?” In it he expressed one of the strongest convictions of his life, namely, that all without exception area called to be saints and that through our Catholic faith we have available all the means necessary to attain this. In 1917 he came to know the Treatise of St. Louis Marie de Montfort on the True Devotion to Mary, a work that changed his life completely. On September 7th, 1921 Frank Duff founded the Legion of Mary. This is a lay apostolic organization at the service of the Church, under ecclesiastical guidance. Its twofold purpose is the spiritual development of its members and advancing the reign of Christ through Our Lady. In July 1996 the Archbishop of Dublin, Dr. Desmond Connell, introduced the cause of his canonization. Samaritans was started in 1953 in London by a young vicar called Chad Varah, who worked in the city parish of St Stephen, Walbrook in the City. During his career he had offered counseling to his parishioners, and he increasingly wanted to do something specific to help people in distress who had no one to turn to. Chad makes reference to one example of a girl aged 14, whom he had buried in unconsecrated ground. She had started her periods, but having no one to talk to believed that she had a sexually transmitted disease and took her own life. When Chad was offered charge of the parish of St Stephen, Walbrook, in the summer of 1953 he knew that the time was right for him to launch what he called a “999 for the suicidal”. At the time, suicide was still illegal in the UK and so many people who were in difficult situations and who felt suicidal were unable to talk to anyone about it, without worrying about the consequences. A confidential emergency service for people ‘in distress who need spiritual aid’ was what Chad felt was needed to address the problems he saw around him. 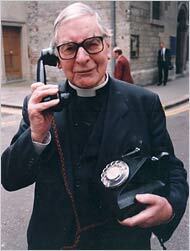 He was, in his own words, “a man willing to listen, with a base and an emergency telephone”. The first call to the new service was made on 2nd November 1953 and this date is recognised as Samaritans’ official birthday. Chad certainly kept to his word and continued to organise befriending all over the world. Ten years after those first calls, in 1963, there were 41 branches of Samaritans in the UK and Ireland. Just three years later, in 1966, there were 6,537 Samaritans volunteers based in 80 branches. Samaritan volunteers are still available 24 hours a day, 365 days a year to offer that unique emotional support service.